And cheers for seeding Zeb. Now off to let Distrowatch know. It's good to see it's out in the wild now. As someone who's been using it for weeks now, I can say that it's smooth. In fact, I forgot I was using Alpha and Beta software, that's how good it is. EDIT: I'm all up and running now. 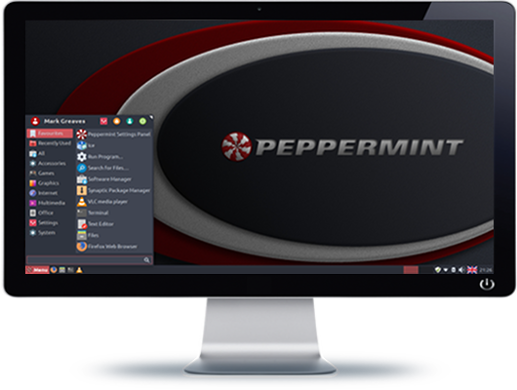 Congratulations on another great Peppermint Release, and all of your hard work keep Peppermint the best distro. Just posted the website to my facebook timeline. Awesome, can't wait to get home now! You guys just blow me away. What an absolute ACE IN A DECK OF CARDS. It does the same thing as doing a full install, I'm sorry to say. I think that's just a leftover from Ubuntu. Yeah I'm afraid to say the "minimal Install" option doesn't actually do anything at the moment .. we've always been a kinda minimal install( distro anyway. We left the option in place because we plan on using it in the respin to ship with LibreOffice and GIMP installed on the ISO (so they can be used in a Live session) but during an install the user gets the option to keep them or not. A quick look at the filesystem-manifest-minimal-remove contents on the *buntu ISO's suggest they cheat somewhat .. their minimal install configuration only removes the main packages and NOT all the orphaned dependencies. We weren't willing to go down that road because it would mean leaving unnecessary bloat on peoples system should they choose a minimal install (kinda defeating the object don't you think). We'll only make use of it when it can be made to clean up after itself **properly** and dependably..
You are right, the minimal install is from the 18.04 ubiquity installer where other buntu flavours load up with applications. We have always let the user decide what apps to install. So this time round minimal install is no different.